Galleon (Shanghai) Consulting Co., Ltd. formerly known as the Conference Department of the Organizing Committee of the Shanghai Airshow, has successfully expanded its presence into conference service and become a provider of consulting service for aerospace manufacturing summits and different kinds of trainings for enterprises since its successful hosting of the first China Commercial Aircraft Manufacturing Summit in 2009. The Company would undertake over 10 international conferences and serve more than 3000 professional managers from world-noted enterprises a year, and has ever won support from the Development Research Center of the State Council, Department of Equipment Industry of Ministry of industry and Information Technology, Aircraft Airworthiness Certification Department of CAAC, Air Traffic Management Bureau, CAAC, Aviation Industry Corporation of China and Commercial Aircraft Corporation of China, Ltd. and other relevant government organizations and enterprises for its activities. 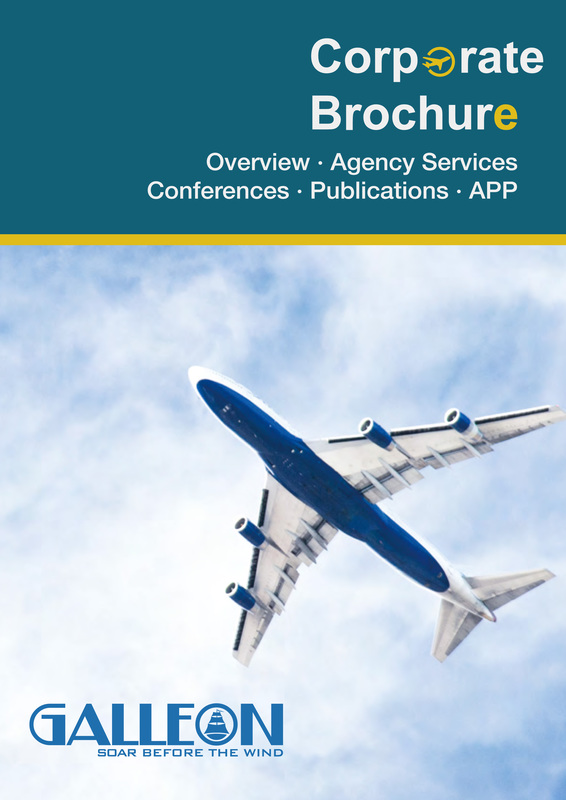 The Company completed its strategic and business adjustment in 2012 to concentrate more on the provision of professional industry information, strategy consulting, media advertising and conference service for the aviation industry. Boasting a powerful consultant team consisting of high-ranking officials from the authorities of the industry, famous scholars and professionals of the trade, the Company aims to being the leader of the aviation service in domestic market by providing all-round and multi-field one-stop professional service for customers of the aviation manufacture industry. The Company has partners from the Asian-Pacific Region, the U.S., the UK, France and other European and American countries, such as BDLI from Germany, NAG from Netherlands, AAI from Austria, EUROCAE from UN, AIAA, IEEE AESS and IAEA from the U.S., SJAC from Japan and UAI from Russia. Galleon (Shanghai) Aviation Service Co., Ltd.
As the communication bridge between Chinese civil aerospace manufacturing industry and international aerospace industry, Galleon (Shanghai) Aviation Service Co., Ltd. (hereinafter referred as Galleon Aviation Service), established in April, 2015, devotes itself to improve international cooperation through introducing the foreign advanced aerospace technology and equipment for the domestic civil aerospace manufacturers and offering channels and resources to entering China marketing for all foreign tier suppliers. Depending on years’ industrial experience and connection, Galleon Aviation Service ensures that the international partners will gain the continuous achievements in Chinese market through Galleon professional movements including client development, requirement definition, project following-up, plan making, progress evaluation, supporting service, etc. Currently, Galleon aviation service has established confirmation and potential cooperation with international well-known aerospace companies in North America, Europe and Southeast Asia. For example, Germany EuroAvionics Company has gained the avionics orders of several AC312e helicopters of AVIC HAIG; British Aeromet has reached cooperation agreement with COMAC materials department; Canadian AV&R has deepened communication with the domestic aero engine companies. Galleon (Shanghai) Media Co., Ltd.
As the wholly-owned subsidiary of Galleon (Shanghai) Consulting Co., Ltd., Galleon (Shanghai) Media Co., Ltd.(hereinafter referred as “Galleon Media”), established in December, 2013, devotes itself to online news release and advertisement promotion of the printed media in civil aerospace industry field. Since 2013, Galleon Media has cooperated with the authoritative and famous media of Chinese aerospace including COMAC Jetliner Magazine, SSA Aeronautical Research Magazine, etc. With the blossom of the mobile internet, Galleon Media has developed “China Aviation” APP which offers the subscribers information covering the advanced technology, the manufacturer introduction, the domestic demands and the project progress, etc. Meanwhile, “China Aviation” APP is an assisting mobile platform of Galleon conferences where the conference updates and electronic proceedings will be issued. Up to now, Galleon Media has attracted almost 2,000 professional readers in aerospace industry through the advertisement agency and APP, meanwhile, helps to expand promotion for the home and abroad well-known companies including MTU, CFM, Siemens, Parker, Liebherr, AVIAGE Systems, PPG, Sichuan Jiuzhou Aerocont Technologies Co., Ltd., etc.